The first step in Customer Journey Mapping is to understand what customer journey mapping is. What is the value of customer journey mapping? Journey mapping is a tool used to visually represent the step-by-step interaction of a customer with a brand or company. Fundamentally, a journey map encourages a company put on a customer’s spectacles and look through their eyes, “walking” through their process, step by step, rather than from how the process is seen from within. How is journey mapping done? Agree on the purpose: The need to design a map may vary. A customer journey map can either reflect the current journey and experience, or it can reflect the desired journey, or a combination on these. It can be high level to understand the stages and the individual steps or it can be very detailed, to include the “backstage” or internal processes. The purpose dictates the scope of the map. Involve the right stakeholders: Ideally a cross-functional team should participate in the design to look at the journey map from all aspects of the business. Leadership involvement is important but ultimately the most suited team members have to be involved, rather than the most senior. Where to start: A persona should be developed, representing a typical customer, although more than one personas can be used, to compare their journeys. To choose and define a persona, requires insight into the customers’ worlds. Understanding who they are, their life, and challenges, what problems they want to solve when they choose your brand. What to include in the designed map: The customer journey map will typically include themes to unpack, using a persona (as if this person is alive and taking you through the process). This includes: stages and steps, problems to solve, needs, moments of truth, current emotional experience, desired experience/opportunities, touchpoints and channels, even failures. Maps generally start on a high level, outlining the broad step by step journey, before more detailed unpacking starts. How to get information about what customers want, need or experience: Typically, the VOC (Voice of the Customer) is a primary resource for “filling in these gaps” when designing the journey. Using the VOC, negative experiences and frustrations of customers can be identified. Other sources include previous research, social media, complaints management content etc. Staff, especially frontline staff, are also a great source of information around customers’ experience, challenges, reactions and frustrations. Ideally, having “real” customers involved in a later stage of designing will provide the richest and most robust customer journey map. What the map should look like: After plotting the customer journey out in a workshop format, the process is captured, using any software products – either specifically designed for the purpose or even Excel. Thereafter, the journey (storyboard) is graphically presented using icons or pictures as an infographic, to illustrate the various steps, as a framework for internal use. Thecustomer journey map provides the structure to work on the ideas generated, prioritization and systems, processes that need to be developed to support the desired outcomes. They vary in style, colour and data density but, essentially, the journey map provides a translation of the information in a visual format. The benefits of journey mapping are often indirect, as the maps itself are meaningless, unless it is used to improve the customer experience. The value of the process of customer journey mapping cannot be emphasized enough. The most important benefit of customer journey mapping is the collaboration of the cross-functional teams. 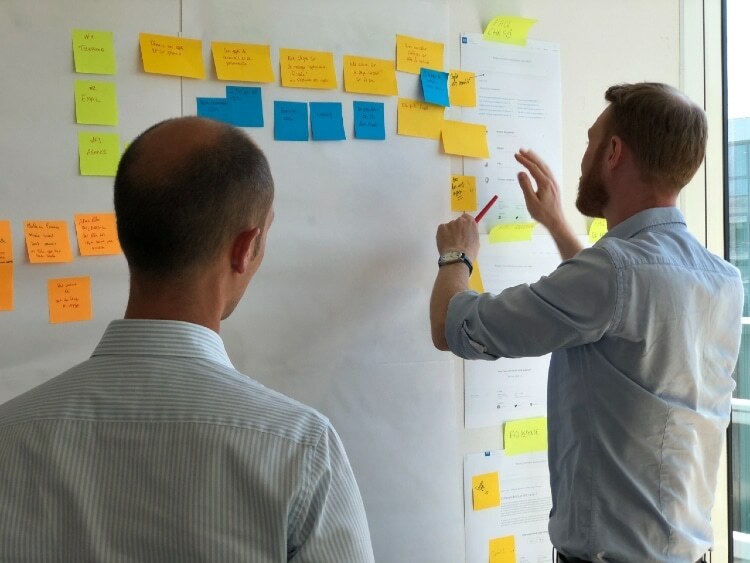 It helps teams to work together and develop an understanding of customers’ journey, get a joint vision about how to deliver the desired journey and where internal processes impact on experience. Journey mapping highlights the need to craft the customer experience strategy that directs the way in which a company wants customers to experience their interaction with them – the desired service delivery and behavior. The journey mapping keeps the focus on an outside-in perspective, keeping all stakeholders focused and sensitized to the customers’ experience. The journey map provides a simplified visual framework that can be used throughout the business to facilitate the alignment of internal processes, service delivery and experience. The visual map is easily understood by all levels of staff. The map is a framework for management and CX workstreams for reviewing VOC and other metrics to measure and track areas to fix, improve or innovate. It ensures that ownership and accountability allocated. Companies using journey mapping are actively designing their differentiated experience delivery, one of the most valued competitive advantages in business today. It’s quite evident from the above that consumer journey mapping is an excellent tool to improve the customer experience. The Consumer Psychology Lab are customer experience specialists. From auditing how customers interact with your brand, facilitating customer journey mapping, right up to creating a customisable CX measurement tool for your business, The Consumer Psychology Lab is able to give you the insights you need to propel your business and create the ultimate customer experience.